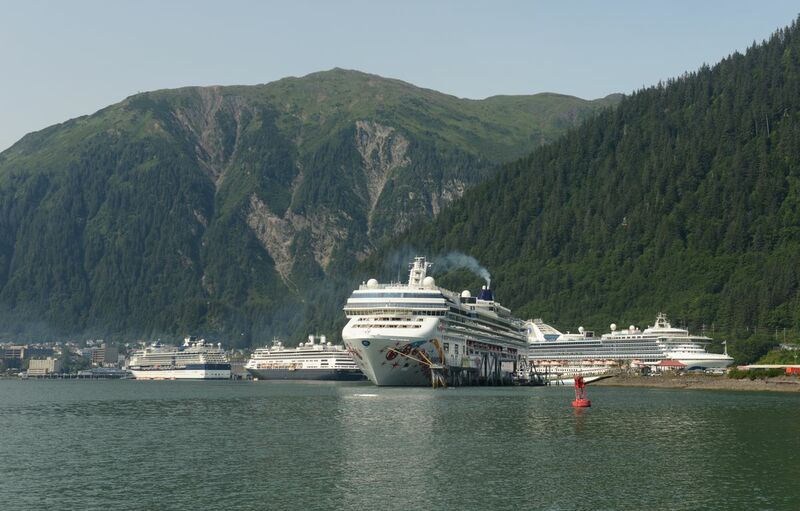 JUNEAU – Alaska environmental managers have issued notices to eight cruise ships for violating air quality standards during the summer cruise season. The state Department of Environmental Conservation found nine violations this year, the highest number since 2014, the Juneau Empire reported. Four violations were found on Holland America Line ships, Princess Cruises had two, Royal Caribbean had two, and the Norwegian Cruise Line had one, according to the department. The department will forward the violation notices and its recommendations to the state Department of Law for further action. Violations could result in fines as high as $46,000. The state will take into account if the ships have taken measures to improve emissions by increasing engine efficiency, or if they have previously met air quality standards consistently, said Ed White, manager of the state's cruise ship monitoring program. "We base that on the compliance history of the ship or the reading, or if the operator is taking corrective actions," White said. Monitors in cities where cruises dock measure the ships' emissions through visual tests of opacity. The darker the emission, the more likely it contains pollution. "Opacity is an indicator for overall air quality," White said. "So there are things that could be in the emissions — things like nitrogen oxides or particulates — things that can be breathed in and can potentially cause some health effects." Most of the violations occurred in Ketchikan, where most of the monitoring staff is located, White said. The state Department of Law and the Cruise Line Industry Association of Alaska did not immediately return messages left by the newspaper seeking comment.